This is first episode of The Legend of Dugu Chinese Drama, Dugu Ruyuan is destination to be next emperor. His daughters believe the prophecy and want to be new Queen, although he is loyal to current emperor. Emperor Yuan Xiu attacks rebel Gao Huan, but he isn’t his opponent and flees to turn to general Yuwen Tai. General Dugu Ruyuan and Yang Zhong arrive and save him, but the word on the wall indicates that Dugu Ruyuan is going to be next emperor. Yuan Xiu follows believes Dugu Ruyuan and gives him a new name Dugu Xin. Yuwen Tai welcomes emperor and move the capital to Chang An, then the emperor is replaced by Yuwen Jue. Xuwen Hu is ambition and targets Yuwen Jue with his arrow. Just then Dugu Xin’s daughter Dugu Jialuo stops him. 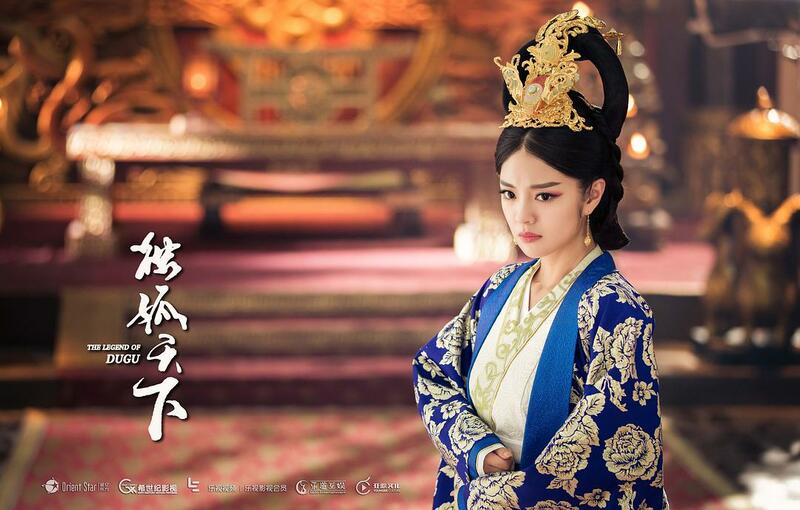 Yuwen Jue knows Yuwen Hu is intention on his throne, but he is lonely and has to defend himself carefully. Jialuo’s 5th brother is thrown off from his horse, Jialuo and Mantuo argue with the enemy, but he is unreasonable. Banruo stings his horse’s neck with her sword, he falls. Banruo and Yuwen Hu is in relationship, she wants to be queen, they have never forgotten the words on the wall and think Dugu family is going to dominate China. Banruo suggests his father not to join the power struggle, but Dugu Xin and Yuwen Tai is close friend and doesn’t want to see his son to be bullied. He asks his daughter which guy she is intention, Banruo is shy and and transfers the topic mentioning Yang Jian is going to arrive. Dugu Xin plans to marry Banruo to Yang Jian, but Banruo isn’t interested in Yang Jian as he is just lord’s heir, she wants to be princess. Yuwen Hu sends his henchman to control emperor, Yuwen Jue is scared and calls Dugu Xin to talk about his situation, hoping he can help him. But Yuwen Hu tells Dugu Xin that he won’t bring trouble to him if he refuses to be emperor’s prime minister. Dugu Xin ignores him and looks Yuwen Hu Down. Jialuo is playing her china bottle in her room and rides horse with flowers. He gives a spray of flower to her, but Jialuo doesn’t like it and thinks he is a player and hits Yang Jian’s henchman Zheng Rong with china bottle. Yang Jian takes Zheng Rong to blame her for what she did. Yuwen Yong loves Jialuo and wants to treat him for his lover, but Yang Jian accepts his suggestion and wants to buy her favor china bottle. Jialuo drops the bottle into pieces. Yang Jian finds out Jialuo is Dugu Xin’s daughter and is stunned after visiting Dugu mansion. Mantuo isn’t intention to the lord’s heir, but she falls after seeing he is handsome. Jialuo knows Yang Jian is a player and worries her sister. She brings troubles to Yang Jian until his should is scratched by cat. Mantuo worries his lover and blames Jialuo in her room. They have a fight so that Banruo has to her sisters. Jialuo apologizes to Yang Jian. Yang Jian mistook Mantuo as Jialuo at hunting ground, he knows he fell in love with Jialuo. 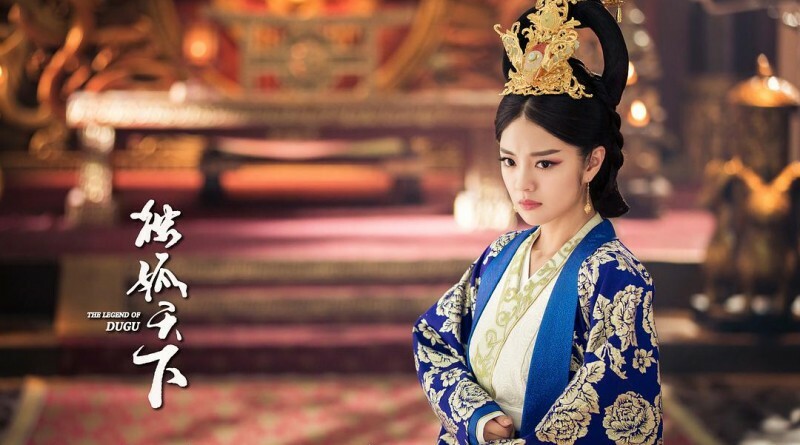 Servants don’t respect Mantuo and think she is daughter of concubines, she suffers from injustice. Yang Jian pulls her out of trouble, she loves him than before. Banruo promises to Yuwen Hu that her father won’t accepts the position of prime minister when he wants to kill her father. But Huwen Hu’s henchman Ge Shu wants to deal with the matter for him and kidnaps Jialuo to threaten Dugu Xin. She is smart and left the clue on the way, undoing the rope, running away.